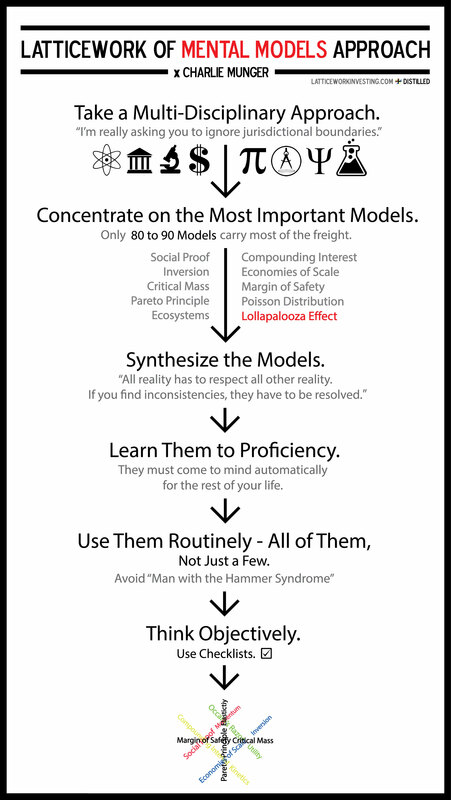 A Dozen Things I’ve Learned from Charlie Munger about Mental Models and Worldly Wisdom. A List of Top 100 Mental Models for Business by Rob D. Kelly. Lattice Work of Mental Models by Safal Niveshak. A Dozen Things I’ve learned from Charlie Munger about Inversion by Tren Griffin. Inversion and the power of avoiding stupidity by Shane Parrish.